I heard one friend of mine recommend Star Command to somebody, saying that “it’s just like FTL”. 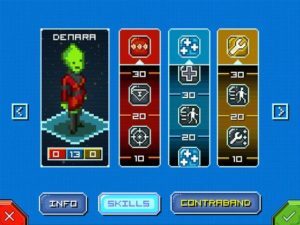 FTL: Faster than light is actually a computer game launched a while ago which indeed looks and feels a bit like Star Command for iOS, but the latter is, in my opinion, a lot better. And a lot more different. So no, this Star Command review won’t be created like many out there, as a comparison to FTL. I won’t even tell you what FTL: Faster than Light is about because that’s not important. What matters is that we have a little gem here under the name of Star Command and you have to give it a try even if you are not necessary a big fan of pixelated games with a retro touch or games that are set in the far future and outer space. The story of Star Command is pretty simple: you are the captain of a small spaceship and you’re framed for destroying one of your own, and you have to prove that you’re innocent. And so begins your quest of conquering other ships, hiring and managing a crew of experts, interacting with many strange species and, outside of the game, having a lot of fun. I must admit that in my case it was a bit of a slow start with Star Command and despite the “tutorial” I still needed a few battles to understand how things work in the game. And once I did, I was completely hooked and couldn’t spend my time playing anything else. Feeling at times like a really cool board game, Star Command sees you collect tokens (awarded randomly after each successful battle) that are to be used to either recruit new crew members or to build and upgrade rooms in your interstellar spaceship. A solid resource management and a bit of planning are required here as tokens are not obtained easily and you will always be short exactly when you’d like to have a ton more. Just like in real life. When you’re not playing the micro-management game, you are most likely in battle mode, and that happens quite often. Things are extremely interesting and exciting here, with your pre-battle choices influencing the way the fight goes. For example, early on I decided to trust some alien life form to come aboard, but they just used this opportunity to teleport some bombs that cost me the battle. After a reload, I made a different choice and there were no bombs on board. So many of the choices have an effect on the game – which is either instant or delayed. And this is indeed an ingredient of a great game. Back to the battles, though! They usually are divided into two “pieces”: the regular ship to ship battle where you wait for your weapons and power-ups to charge, for your battle tokens to be generated and for your shields to be better than those of the opponent; and there are the on-ship battles because apparently everybody can teleport onto your ship whenever they want. Crew management and tactical choices are extremely important here and a solid management of the battle is always required because a lost crew member is lost forever, together with all that valuable experience he or she (or it) has gathered. 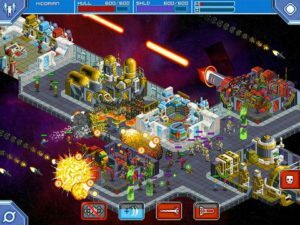 Overall, Star Command is absolutely brilliant and has more to offer than what it initially seems to have on board: despite the pixelated graphics and the immature sense of humor, there are so many ideas and elements under the hood that you will be simply blown away. Not only that we’re talking here about a game of epic proportions, but about an epic game that has everything balanced to the milligram and everything taken into consideration. There is nothing that doesn’t make sense in the game (except for the teleporting thing which is understandable) and there is nothing I feel should’ve been made in a different way. And this rarely happens! 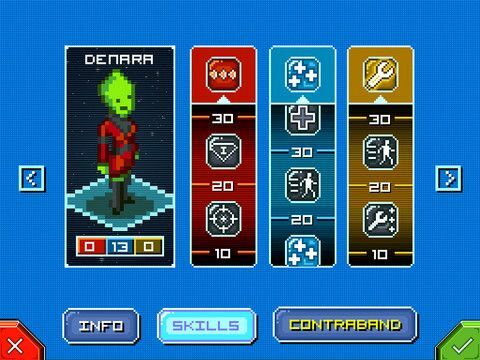 Star Command is yet another example of the brilliance independent developers can create with a bit of help from the gamers (the game was crowd-funded on Kickstarter). It manages to absorb you in like a black hole and keep you trapped for hours and hours, makes you care about your crew and everything that happens around your ship, makes you laugh at times and curse at others – makes you really play the game with all your heart. And this is a huge achievement for any title and Star Command easily gets it. A perfect game!